1. (+) Nikki, the protagonist - Thank God, she's not another one of the selfless protagonists who knows to do the right thing and doesn't get attached to the people she'll eventually leave--no, she makes mistakes; she seems like someone I might actually know. At the same time, I sometimes thought that she had too little personality-- like when she said something about not deserving Jack (before she got claimed) even though they were really good friends. There were lots of situations where I could empathize with her (being nervous with her boyfriend, etc. ), but I often felt like I didn't know her in full. BUT I did like her and it was nice and easy to read things from her perspective. I especially liked that she knew she had screwed up and blamed nobody but herself for it--she was really mature in that regard. 2. (+) The world-building - Such an interesting take on mythology--it's a mix of Greek and Egyptian stories, though the focus is on the Persephone and Orpheus tales. I'm not terribly familiar with all the details of these myths, but I love what Ms. Ashton did bring in and love her take on Hell/the Underworld/immortality/succubi? via the Everneath and the Everliving. There are a lot of a great things about her fantasy world, but I won't spoil them for you, only will say that I can't wait to learn more! 3. (+) The romance - At first, Jack bothered me because it seemed like he was going to be the typical good-looking football player who the protagonist would of course fall in love with.... but he surprised me. I liked how he and Nikki were friends first. I liked how their relationship now was different from their relationship then, and how they had both changed so much but how that didn't really affect their love. Jack has some really sweet and romantic lines, some of which I almost doubted because they were so sweet, but this book banks on you believing in their love, and I can say that I definitely believed in Jack and Nikki's relationship. 4. (--) Cole, the other romantic interest/antagonist? - I think that I might have enjoyed reading about the situation with Cole more had he either been a romantic interest OR an antagonist and not both. As a romantic interest, he failed for me. He was annoying, and I could not see the appeal in him whatsoever, especially when he was being uber creepy. I often wondered how much of Nikki's memories of him was actually him being him. As an antagonist, he also failed for me. He "loved/liked/had feelings for Nikki" so it was basically impossible for me to imagine him doing anything terrible. 5. (+) The Balance of Time - I liked how the time was a way for us to see how Nikki had fallen in love with Jack before Cole came along, how Cole convinced her, and how her falling in love with him back then was different from the way she and Jack get together later. I liked how time was used to show her maturation. It didn't break up the story's pacing because it was necessary to advance the story. 6. (+) Family - I liked the family dynamics and how Nikki came back not just for Jack but for her family too and to repair the broken way she had left them. I wish there was a little bit more focusing on them (instead of Jack), but I suppose it might have dragged down the story if there was more. 7. (+) Side characters - You don't honestly learn that much about the other side characters like her family or Jules or Marshall, but they still made for a great side cast, and I can't wait to see what will happen next with these characters and what sort of tests they'll endure after that ending! 8. (+) Writing - Ms. Ashton's writing is easy to read, flows pretty well. I didn't notice any hiccups and her descriptions were never overdone. 9. (+) Pacing - I didn't put this book down once. Though there are breaks in time, each scene felt like it ended in such a way as to make me want to continue reading and to see what Nikki had done in the past that affected the way her present was. 10. 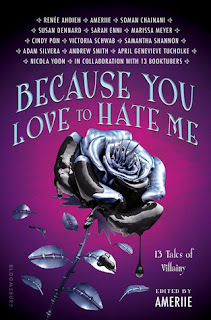 (+/-) The Cover - It's incredibly pretty, and that actually is what I think is at fault-- it doesn't seem to represent the danger and utter hopelessness of the Everneath and its power over Nikki. There is the smoke, but it looks more like a special effect to beautify the flowing dress. 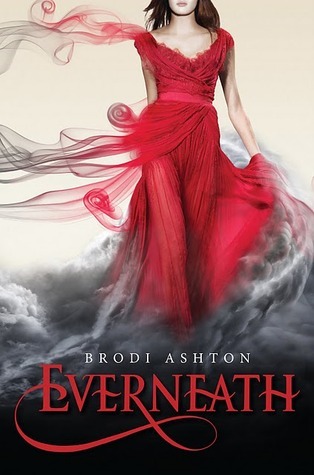 Everneath's interesting spin on mythology along with its sweet, sweet romance and the timeless question of redemption enticed me until the very end. I did not put this book down once--it is one of the great debuts of 2012 that you don't want to miss. To tell you the truth the Persephone tale is one in greek mythology that doesn't really pull me in, so unlike the rage I've been skeptical about this and to tell the truth kinda scared to read it, but it does sound good and the cover is pretty haha. I have the ARC thanks to NetGalley so I'll just have to find out for myself! I actually didn't think about the cover as being a negative thing, but you're right. First of all, even though we can't see her eyes, I didn't get the idea that Becks was so pretty. I know Cole and Jack thinks she is, but her hair always hides her face (and why would guys think that's pretty?). Her dress is flowing, but she seems like she's in control, and in the story she was anything but. Great review! I could see how Cole was attractive because she was at her weakest, and it had more to do with his abilities than his (lack of) charm. Cool review! This book is one of my favorites. I love Greek Mythology and I love Cole because he is the antagonist but you still love him. The way the author switched times back and forth made the story interesting.